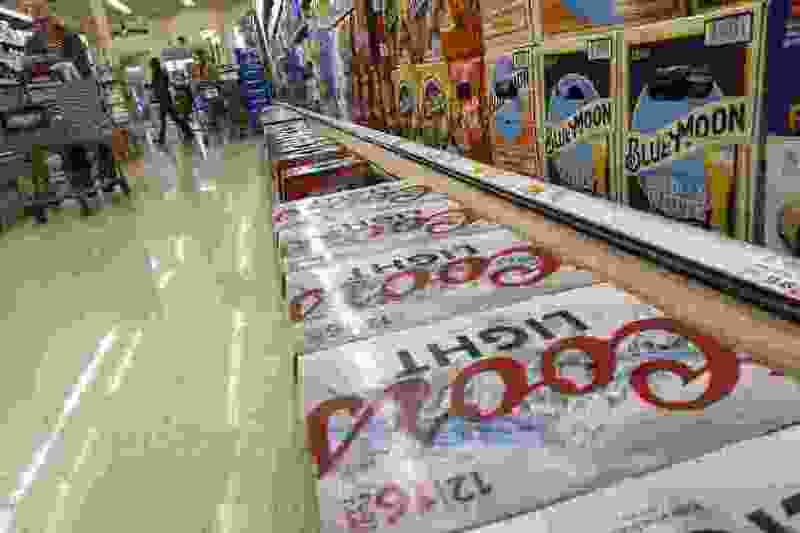 Utah’s 3.2 beer law — on the books since 1933 and the genesis behind a state-bashing brunt of “weak beer” jokes — is poised to fall, making way for higher-alcohol brews in grocery and convenience stores by year’s end. On the final day of the 2019 session, and after a week of compromises, the Senate voted 27-1 to boost the state cap on retail beer from 3.2 percent to 4 percent alcohol by weight. Logan Republican Lyle Hillyard was the only senator to vote against SB132. The House signed off on the tweaked bill Wednesday, voting 61-14. The move to stronger beer awaits the signature of Gov. Gary Herbert. He has voiced support for the alcohol increase, noting that large national brewers are phasing out 3.2 beer — because so few states still sell it — and Utah needs to keep up with market demands. “We have to reflect the market," Herbert said recently. Stevenson’s initial version of SB132 would have hiked the alcohol limit on retail beer from its current 3.2 percent to 4.8 percent. Utah’s predominant faith, The Church of Jesus Christ of Latter-day Saints, opposed that plan. Beer that is stronger than 4 percent alcohol by weight or 5 percent by volume — ABV is a more common industry standard — will continue to be sold at liquor stores operated by the Utah Department of Alcoholic Beverage Control. Even with the increase, the Beehive State will continue to have one of the nation’s strictest alcohol limits. Currently, 18 states have caps on alcohol for beer and wine sold in grocery and convenience stores. The average limit is 12.4 percent ABV, much less restrictive than Utah. Still, there is reason to celebrate, said Clay Turnbow, the head brewer at Salt Lake City’s Kiitos Brewing. The bill also boosts the allowable alcohol content on beer served on tap — sometimes called draft beer — at restaurants and bars. The new law would not take effect until Nov. 1. That gives Utah brewers time to adjust recipes and get new beer labels approved and printed, a process that usually takes months. As part of the SB132 compromise, a “beer availability work group,” staffed by the DABC, was created to study issues of availability, alcohol content and retail practices during the next nine months and report findings to legislative interim committees. Utah’s 3.2 law dates back 86 years. Nine months before Prohibition was officially repealed, Congress passed the Cullen-Harrison Act, which allowed the production of 3.2 percent beer. It was a major step at a time when making alcohol was not allowed. Cullen-Harrison fell away when Prohibition was repealed in late 1933, but many states, including Utah, left the law on the books. The Utah Legislature has known for several years it would have to tackle 3.2 beer as new laws have taken effect in Oklahoma, Colorado — and, on April 1, in Kansas — that allow full-strength beer in stores. Large companies, such as Anheuser-Busch and MillerCoors, have said it was not worth brewing lighter beer for such a small market. Utah had already started to see the effects, with some beer packaging — namely six-packs —becoming unavailable. Another beer-related bill, HB202, has already been signed by the governor. It provides a grace period for the 1,000 grocery and convenience stores in Utah that failed to apply for a mandatory off-premises beer license from the DABC before March 1. Those that wait until the new deadline of May 31 will face fines of up to $300.